Good Friday morning bloggers! Today's Frugal Friday item begins with tea lites. I picked up a few boxes (of 10) at my local drugstore for 99 cents each. Be careful, though, because I saw a similar box of them in my grocery store for $4.99! I decided on making little gift boxes with three tea lites in each one for my project today. 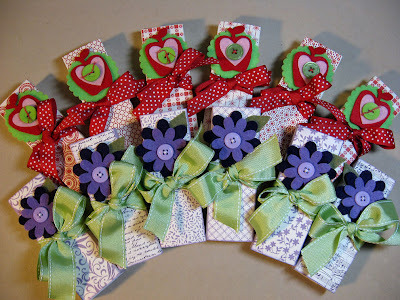 My Cherish Club girls will get these tonight when we meet for our monthly scrapbooking night. 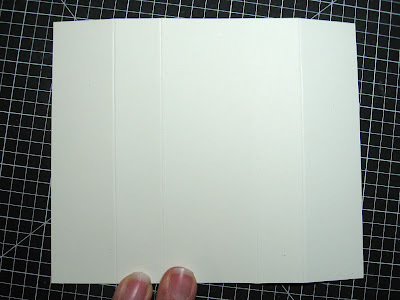 I started with Petal card stock cut at 4 5/8 x 7 3/4 inches. I scored all the way around at 3/4 inches. Then again all the way around at 1 1/2 inches. 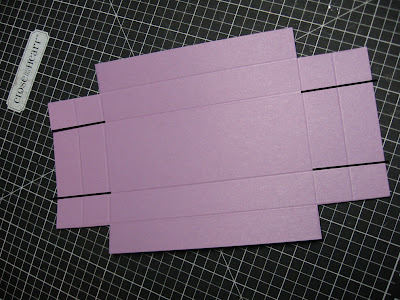 I cut slits as shown, and then cut away the outer corners to reduce bulk when assembling the box. 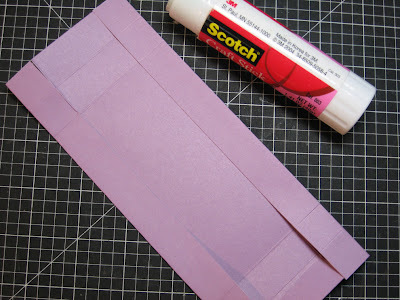 Glue the sides in. (my photo doesn't represent well since this photo was taken before I cut off those outer corners.) 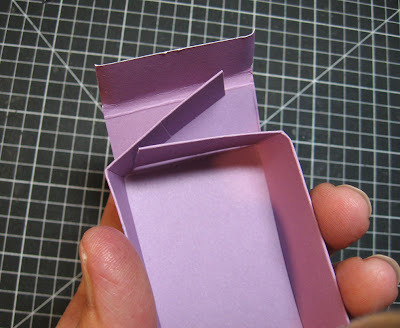 You will just glue the sides in. To help with assembly, I found it helpful to snip the corners off these end flaps a little. 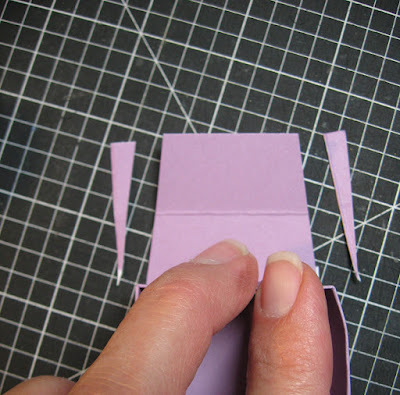 Then fold in the side flaps and glue and fold over the ends to the inside. Easy! Three tea lites should fit inside perfectly. 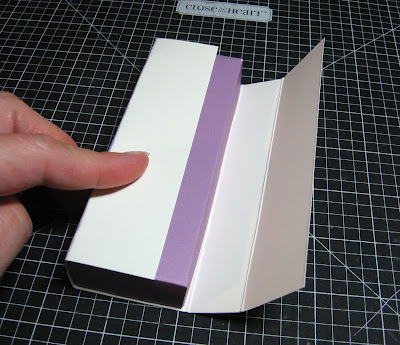 I chose tea lites to match the card stock colors I picked. Instead of a lid, I chose to make a sleeve that will slide off. 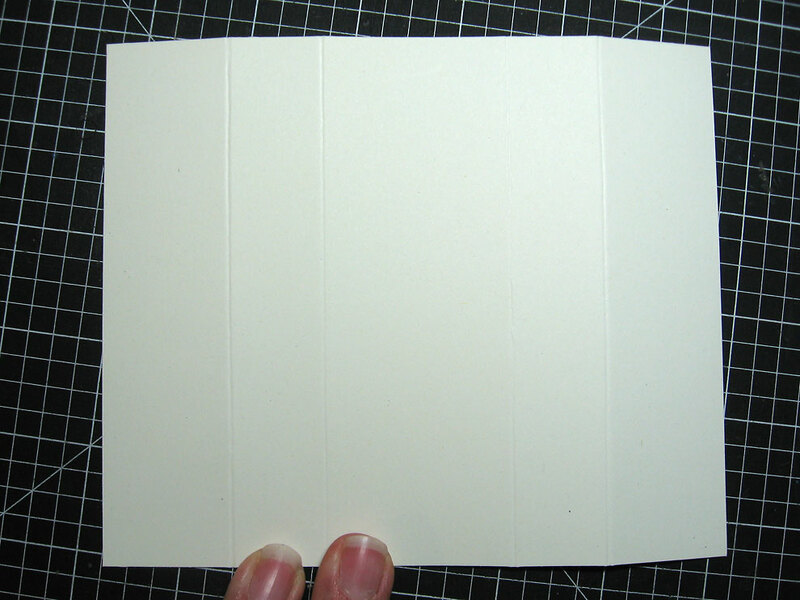 Start with a piece of card stock at 5 x 6 inches. I used Colonial White so all my stamping showed up nicely. 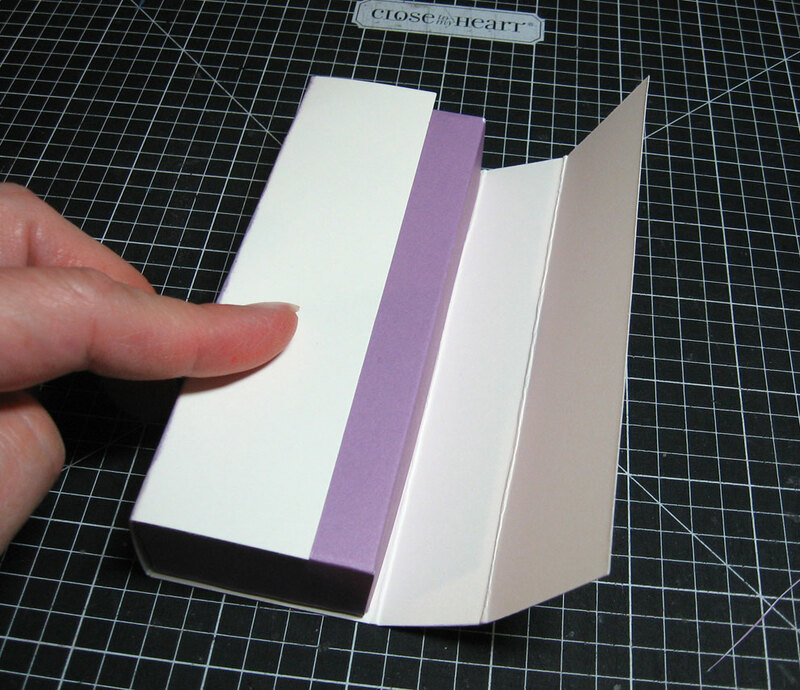 Score the card stock along the 6-inches at 1 1/4 inches, 2 1/8 inches, 3 7/8 inches, and then 4 3/4 inches. 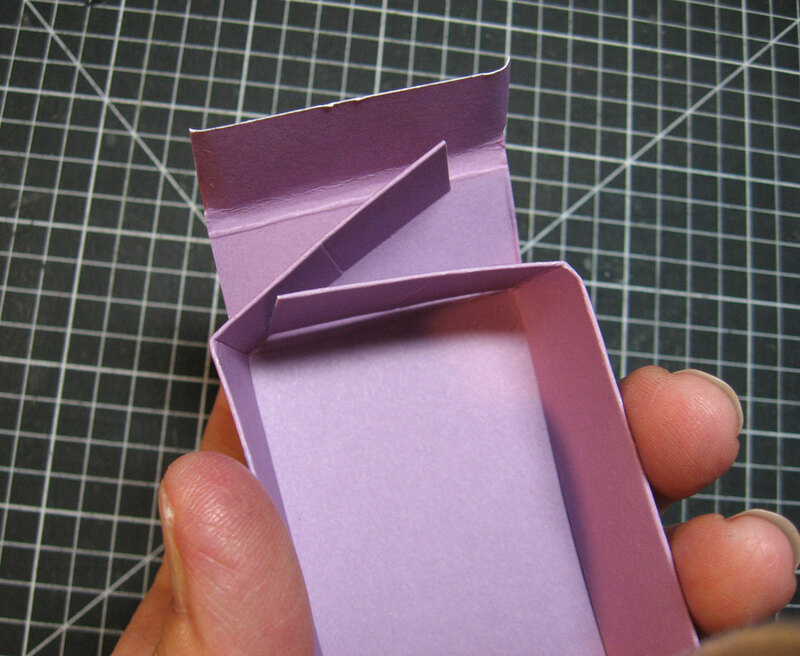 I laid the tea lite box (with the tea lites inside for stability) inside the sleeve and wrapped the sleeve around and secured it with glue so it fit snugly. 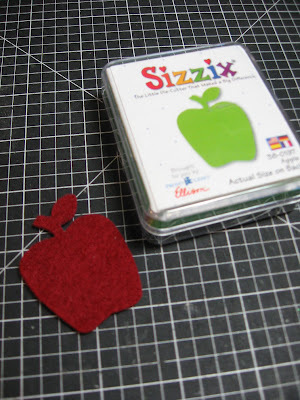 To decorate my boxes, I decided on felt cut out with Sizzix dies. My days as a Girl Scout leader left me with many leftover materials, and felt was definitely one of them. 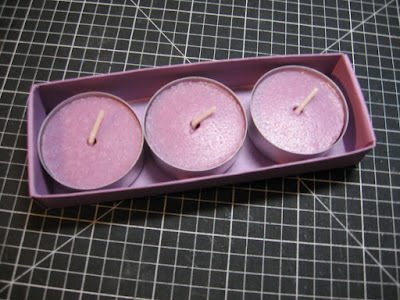 I happened to have a nice light purple as well as a dark one. Perfect! 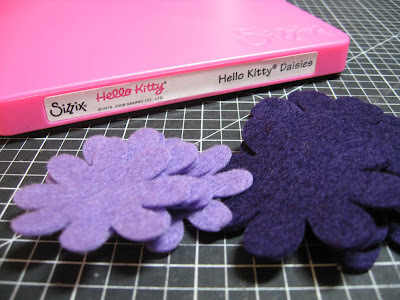 I used my Hello Kitty Daisies die and ran it through my Vagabond machine which cut "like buttah." 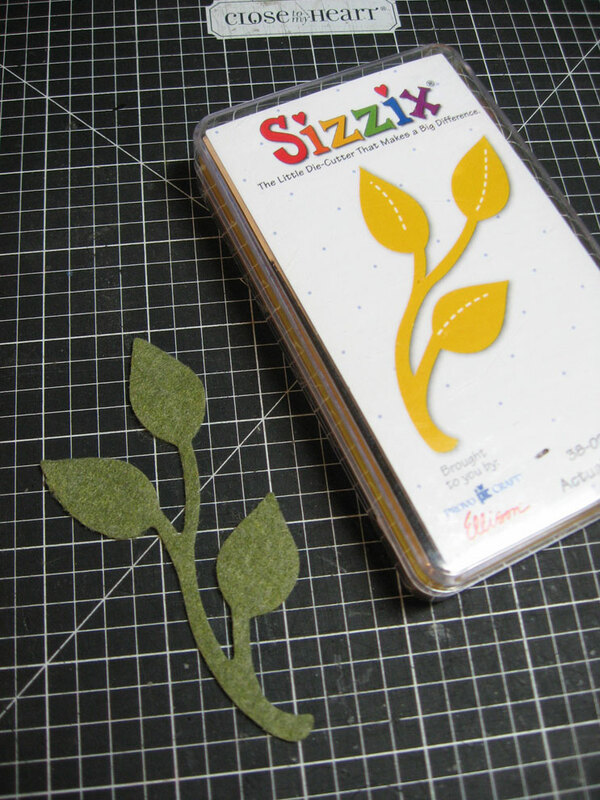 I loved going into my stash of older Sizzix dies. I haven't used some of these in a while. This leaf one worked perfectly with my flowers. I just snipped off the leaves from the stem and tucked them behind my flower on each box. Another one I haven't used since my daughter was in elementary school! I wanted to make some boxes with an apple because some of the tea lites I found were apple cinnamon scented. 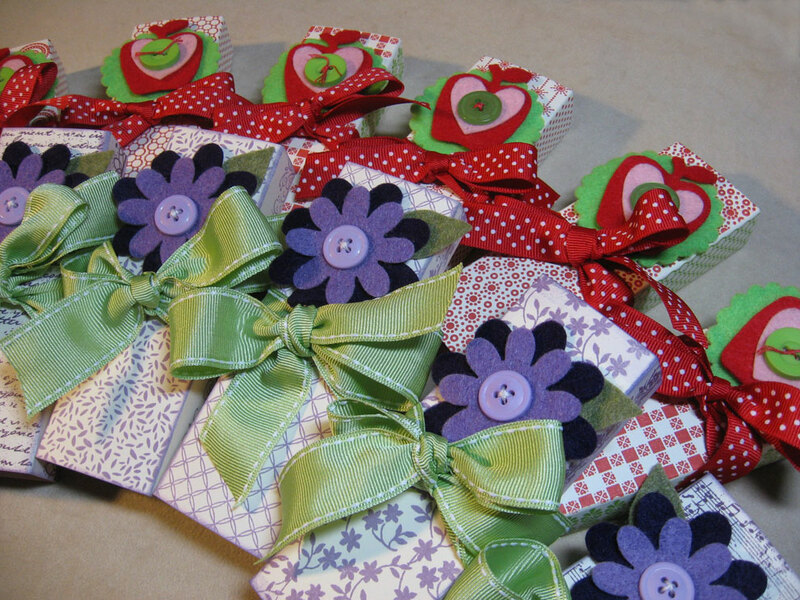 I added buttons and ribbon and a few more felt pieces (to the apple ones) and had a great time making all these different ones. I adhered the felt pieces with a square of foam tape so that if my club girls want to, they can eventually remove it and use it for something else. 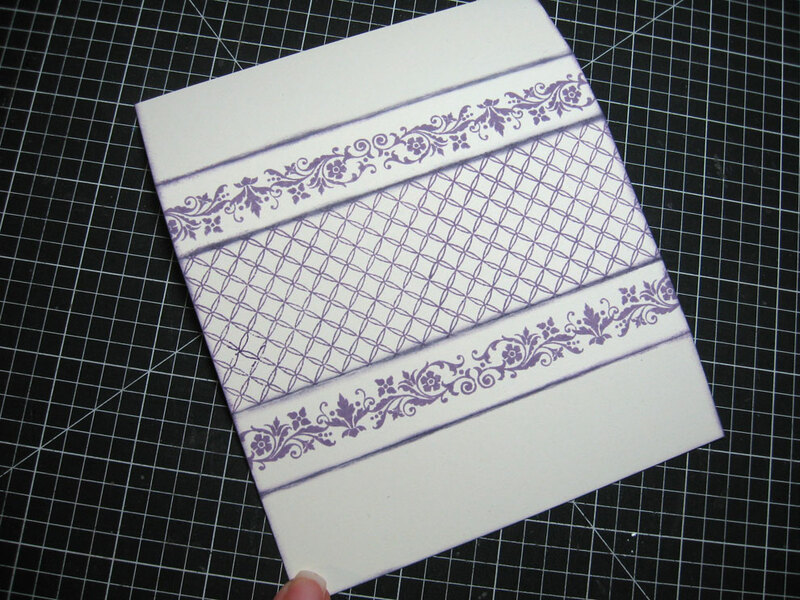 A card, a scrapbook page, or a fun hairclip for their daughter/granddaughters. Thanks for stopping by. Enjoy your day and try being frugal creating something fun today! Cute!! Clever idea with the felt pieces! These are great. 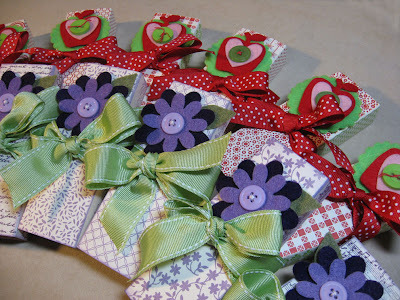 I can think of so many uses for little gifts like these. Thanks for sharing.